1) One-hundred forty points wasn’t enough Wednesday. In an NBA rarity, both teams tallied 140-plus, as Golden State outlasted New Orleans 147-140 in a shootout at Oracle Arena. It was a record-setting night, in numerous ways. 2) Watch postgame reaction from Alvin Gentry, Nikola Mirotic and Jrue Holiday. New Orleans (21-24) dropped to 3.5 games out of eighth place in the Western Conference, with eighth-place Utah beating the Clippers. 3) Gentry’s weekly radio show airs at 6:30 p.m. Central on WRNO 99.5 FM. ESPN play-by-play broadcaster Mike Breen is a special guest on tonight’s show. 4) The Pelicans arrived at their Portland hotel around 2 a.m. Pacific time. They will practice this afternoon in Oregon, beginning preparations for Friday’s game against the Trail Blazers (9:30 p.m. Central). 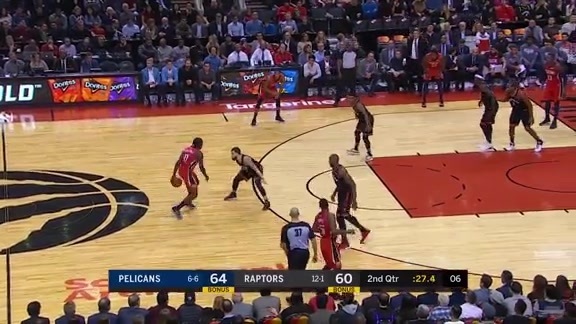 5) Watch this morning’s Pelicans Planner.